Nara has hundreds of fascinating sights to explore. Most are located in a few main sightseeing districts. 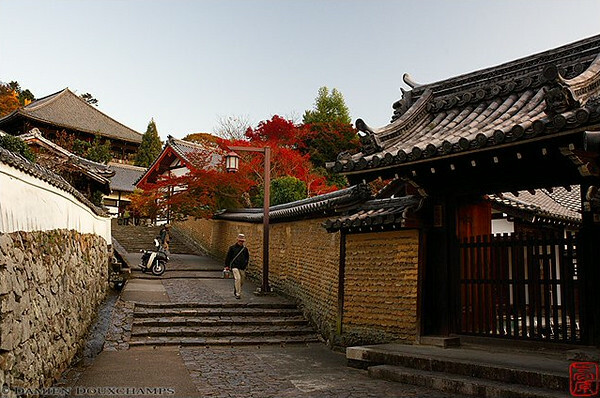 In this section, I’ll give you a full run-down of Nara’s main sightseeing districts. Nara City (Nara-shi in Japanese) is a remarkably compact place and can easily be explored on foot. Fortunately for the visitor, the most interesting sights are clustered right in the middle of the city, within walking distance of the two main train stations: JR Nara Station (on the west side of downtown) or Kintetsu Nara Station (smack dab in the middle of downtown). Both stations offer easy access to and from Kyoto and Osaka. Unlike Kyoto, there’s no need to rent a bike or get on a bus or subway to explore, since most of Nara’s most important sights can be reached on foot from the two main train stations. For sights that are further afield, city buses (there is no subway system in Nara) stop near both train stations, making reaching some of the outlying districts a breeze. The districts are listed here in rough order of importance. Downtown Nara can roughly be described as the built up area surrounding JR Nara Station (which defines the west edge of downtown) and Kintetsu Nara Station (which lies at the northeast corner of downtown). Downtown Nara is where you will find many of Nara’s hotels, restaurants and shops. There are two main streets here: Sanjo-dori Street (which you can use to walk from JR Nara Station up to the sights) and Noborioji-dori Street, which is the large avenue that marks the north side of downtown and takes you up to Nara-koen Park. Needless to say, Downtown Nara is within easy walking distance of both main train stations. Nara-koen Park (“koen” is the Japanese word for “park”) is the large expanse of greenery and sights that starts a few hundred meters west of Kintetsu Nara Station and extending to the base of hills you see rising in the east (Wakakusa-yama). This is the most important sightseeing district in Nara and it contains many of Nara’s most interesting sights: Todai-ji Temple (home to the Daibutsu or “Great Buddha”), Isui-en Garden (my favorite garden in Nara), Kasuga-Taisha Shrine (Nara’s most important Shinto shrine), the Nara National Museum, Kofuku-ji Temple, among others. Nara-koen Park is also home to Nara’s large population of semi-wild deer, which roam the area at will seeking handouts of deer crackers from tourists. Nara-koen Park can be reached on foot from both main train stations, but it’s quite a bit closer to Kintetsu Nara Station. Naramachi is the traditional district of Nara that lies south of Kintetsu Nara Station and west of JR Nara Station. It extends for about one kilometer south of Sanjo-dori Street. Here you’ll find lots of traditional buildings, some ryokan (Japanese-style inns), restaurants, cafes and shops. This is a very atmospheric and pleasant area for strolling. A typical Nara itinerary might start with a morning in Nara-koen Park and an afternoon in Naramachi. Conveniently, Naramachi is within easy walking distance of both of Nara’s main train stations. Nishinokyo is a neighborhood that lies about four kilometers southwest of Downtown Nara. It contains two extremely attractive temples: Yakushi-ji Temple and Toshodai-ji Temple. It can be reached by bus or train from Downtown Nara. If you had a good road bicycle, you could cycle here easily from Downtown Nara, but it’s not really an attractive trip and walking would be a very bad idea indeed. Ikaruga is a district that lies about 12 kilometers southwest of Downtown Nara. It contains one of Japan’s most important Buddhist temples, Horyu-ji Temple, along with several other smaller but interesting temples. It should be noted that Horyu-ji Temple is an extremely important temple, but its appeal is more academic than aesthetic and it is surrounded by a rather drab stretch of suburban Nara. Furthermore, it’s time-consuming and troublesome to reach. However, for those with an abiding interest in Japanese history, particularly the history of Japanese Buddhism, it’s worth the trip. It can be reached by bus or a bus/train combination. Asuka is a rural area that lies about 25 kilometers south of Downtown Nara. It is significant for the role it played in early Japanese history: Here is where the Yamato Dynasty consolidated its grip on power in ancient Japan. It’s an area of rolling hills, rice paddies and the occasional dwelling. The main sights here are kofun, which are burial mounds of early Japanese emperors. There’s also the odd temple and shrine scattered about the region. It’s best explored on a decent bicycle (sadly, most of the rental bicycles here are old clunkers). A rental car would also be a good way to explore this area. Asuka is a good day trip out of Kyoto or Nara for those with a deep interest in early Japanese history. It can easily be reached by Kintetsu Line trains from Downtown Nara.